Who wants to claim through the court with Litigation Services? A company using the name Litigation Services is cold calling timeshare consumers and offers to help them with a claim through the Spanish court against their timeshare company. Litigation Services already seems to know about the history of the Timeshare owner, and of course as all the others they claim to be successful in almost all cases. 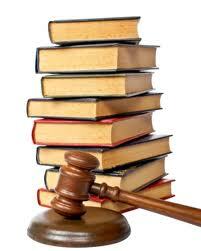 We have done a bit of research on Litigation Services. This company has a website http://www.litigationservices.es/ which surprisingly does not display an office address. They mention supposed opening times, and claim to be in “Malaga” but that is all. We have found clear indications that this company is connected to other dubious legal companies such as Greenges and Fuengirola Services. Both companies who have been offering a similar service, claims through court, and who after charging initial fees for court and translation never seem to have delivered a successful claim. The same as the disappeared companies Ramirez & Ramirez or Key Property Town Advisory, who also seem to be connected here somewhere. With this information we would certainly recommend caution when dealing with Litigation Services and make sure you don’t pay any money upfront for charges that are not justified properly. If you have been contacted by Litigation Services from 0034 951120266 in Malaga, then please do let us know. This entry was posted in Costa del Sol, Legal Services, Mediation services, Warnings and tagged Fuengirola Services, Greenges, Key Property Town Advisory, KPTA, lawyers, Legal office, Litigation Services, Malaga, Ramirez & Ramirez, Timeshare claims, Timeshare Lawyers. Bookmark the permalink. 89 Responses to Who wants to claim through the court with Litigation Services? WE HAVE BEEN CONTACTED WITH LITIGATION SERVICES AND ALLISON JORDAN. WE PAID A JOINING FEE OF £339.00 AND IN ORDER TO GET OUR CASE THROUGH THE COURTS REGARDING THE TRANSLATION OF DOCUMENTS ETC NOW REQUESTING A FURTHER AMOUNT OF £1645. THEY ALSO WANT 10% OF OUR CLAIM WHEN SUCCESFUL. HOW CAN WE FIND OUT IF THERE IS MONEY AVAILABLE IN COMPENSATION REGARDING CLUB CLASS, I.L.G, AND D.W.V.C. THIS COMPANY KNEW ALL OUR PAST HISTORY INCLUDING OUR DEALING WITH RAMIREZ AND RAMIREZ. ETC.TREADING WITH CAUTION AT PRESENT IN NOT PAYING FURTHER FEES. Sorry it’s just another scam – was contacted a few years back by this bogus company – as they say if it seems to good to be true – luckily Mindtimeshares had loads of posts about them. I was contacted by Ligation Services S.L on 18 July 2018. They even sent newspaper work which looked genuine…They the phoned again asking for £1500-00 for expenses taking it to courting said I couldn’t affairs that sort of money as I had just buried my husband.. Full of apologists they said they could accept £1000. I agreed and paid it on my debit card….Again received official looking paper work….Today I had a phone call from an Edward Louis. He was going on about Brexit affecting the court case and that they need to take my name off Club Class as they have been dealt with in the courts…. I am here on my own and don’t know what to do….Please help. We were contacted in December by Erika, in relation to DWV. She seemed to know all of our details and told us we could claim over £12,000. It all sounded good until she asked for over £300 to take on the case. After we questioned this, we received an email from Brigid O’Sullivan with some details of the claim. We are pensioners and do not have any money to spare and have said this. Since then we have been constantly called by Clair, an older lady, who keeps telling us that she had been lucky to claim some money from the Inland Revenue and therefore we should find the money to proceed. We are weary after being ripped off by over £1,200 by bank transfer to a company saying we can claim, but have to pay a Spanish tax. Beware, Erika sounds very nice but once you say no she passes your number on to another person and they keep calling. I was contacted by Erica Moles last week wrt the same issue over DWV and had exactly the email etc asking for £300+. Sounds like a case of throwing good money after bad – as they seem to be sc*****s! Thanks for warning us on this site – can’t legal action be taken against them? Feb 2019. Litigation Services are still on the go. Just been contacted by an Alison Jordan. Seems to have all our details from dealings with Blus Chip plus Ramirez & Ramirez. Also going even further back to DWV & ILL! Fees seem to be dropping as the figure quoted was 200 plus pounds. Call was from an ‘Unavailable’ number but she gave 0034 951 247 133 for any further contact. Hi I’ve been contacted by Litigation services to claim money from Inside Track property club. She also asked me about other dubious dealings and when I mentioned MRI she said we can claim against them also. No win no fee but up front Translation & Notorisation fees will be charged. Have received a letter which bares little resemblance to the telephone conversation. I have also been contacted by Catriona Hannington Litigation Services S.L. I have the same experience as others who have already commented…ref them knowing a lot of my info and info about Instant Acess properties. I initially ignored it all then received an email 30yh August 2018 that there was a closing date for the no cost no obligation assessment. “Further to our previous conversation, it has been deemed necessary to place a closing date, for the no cost, no obligation assessment, of any documents you have regarding your dealings with the company Instant Access/Inside Track. This date has been set for September 21. Claims are listed below, please provide receipts for deposits where applicable and proof of purchase if you completed on a property. It is not relevant as to where the property is situated. Lost deposits, if you did not complete on a property. Loss of rental income, or shortfall, if you completed on a property. Misrepresentation, mis-selling and late completion. If you have any queries please contact me on telephone number 0034 951 247133 or via email. At this stage I sent them the info…surprise surprise I have a substantial claim and need to pay £874.69 up front ref notary and translation…fully refundable and pay by credit card for extra security. Catriona is going to ring me next Monday 24th September when I put her off to check things out. Needless to say they won’t be getting my money thanks goodness. As others have already said..don’t know how they sleep at night but Karma will get them in the end…..pity people already scammed cannot meet these anonymous cowards so they can administer their own Karma. Many THANKS FOR THIS BLOG AND OTHERS COMMENTS…hopefully they won’t get another penny off anyone!!! Here is part of a letter I replied to Caroline Clark two days ago. “But before I forward these documents to you, it’s only essential I find out more about you – taking into account that you reside in Spain! 1. Could I visit to meet you face to face? 2. Do you have verifiable track record of success? 3. How genuine are you – or are you just another scammer hiding behind the web? 4. What is your percentage cut if successful and at what point in transaction is that made? 5. Who could I contact here in the UK or elsewhere that can confidently authenticate of vouch for you? 6. I see that whenever you call, your phone number is concealed and that raises a real concern for me – all the more reasons I have been very reluctant to deal with you. 7. Would you allow for a background check on you & your company with the Police? Unfortunately she replied convincingly that their company was legit. I forwarded all my documents yesterday. But I had this awful feeling about this company – hence I dug into the web to know more. Thank God I found this website and shall not be parting with any penny. She can keep the document to herself which will be of no use. Thank you all for your comments and safeguarding honest hardworking people from fraudsters. I was contacted for a property I bought in Bulgaria from MRI. They rang me on an unknown number saying I have a strong case and I didn’t need to pay anything till after my claim was awarded. The fee was £1000 which I would get back along with my Timeshare money……All the time they were convincing me I should have been online checking them out shouldn’t I…..
Late 2014, we received a phone call from Lisa Grant of Litigation services. She told us no claim no fees, she knew everything about us, how we paid, where was the property we bought etc, she also had our birth nationalities including our old and new address, that was scary, after a whhile we decided to go ahead as the company seems honest, then phone again for an answer and aid no problems we can help you, but you up to pay upfront over £700 they my wife told her no way we cannot affort we are retired how can we pay so much when after all you said no claim no fees. they offer this Lisa Grant said ok I will speak with my supervisor who apparently accepted for un to pay into two installements, we agreed and everyone know the rest, for a longtime we had no news then a message fron Sandra Adams Admin Manager; mails after mails was sent to them. One day my wife was so tired and upset that she send a mail and telling them they just take advantage of people to make money they are crooks and it wont be any refund from our lost to Darragh Mc Anthony and she wanted the refund in full of the fee we had paidm, in less than 5 minutes someone call Jackie spoke to my wife saying that the lawyers seen my mail and were very unhappy with the mail; she said they cannot go faster than the court and as soon as they can we be contacted. We send regularly mail to Jackie that was early 2016 then early 2017 we received a mail, telling us we must come to Spain we were given some date so we chose the 21st June, our information was to meed at 10.30 am someone call Jorge Paralegal for the lawyers and Litigation ( his phone number is 00 34 69 39 54 06 and to meet him at the front of the court in Marbella and to bring our passports. We heard only twice since then and was told by Jackie the court in Madrid went McAnthony and his sister for questionning, until then nothing is moving and as soon as they know the results they be able to inform us, now we wait and see. Thank you for your help which has opened our eyes. We have been contacted by Cathy Macdonald. All seemed too good to be true until she asked for money up front to pursue our claim against Instant Access. Thank goodness we checked things out and found this thread. Needless to say we wont be sending them any money. Their next call will be interesting. I have had a similar phone call from Michael Cardigan at Litigation Services SL, giving me the phone number 0034 951 247 133. He guaranteed a win of £12k for a timeshare scam several years ago but wanted £1500 to register the claim. I asked if we could see a copy of the contract before paying the £1500 but was told Spanish law does not allow copies to be sent! He was well spoken and friendly until he realised I was sceptical and did not want to give my credit card details before speaking to my partner. He then became abrupt and almost rude and hung up. I’ve just had Litigation Services on to me so they’re still trying this in mid 2018. A very well-spoken man, claiming to be a claims assessor based in Spain – similar things other people have reported, mentioned 3 names of fraudulent companies etc etc working with the courts blah blah, no-win-no-fee, but needed to pay a court cost to get the documents filed, translated etc. Kept using techniques to establish a rapport and engender trust. Tried to tell me about the protections on credit card payments, if I was to pay him £1200! Would have been quite convincing if I wasn’t googling his company name whilst talking to him, finding this site, and if he hadn’t used almost exactly the same spiel the fraudsters had used when ripping me off for £1200 on my credit card, a number of years ago! By the way, I was not able to claim that defrauded money back from the credit card, as I’d given the security code to the “merchant”, but the credit company did log the possible fraud alert. I’ve had calls, maybe once a year, from people claiming to be lawyers, or an independent fraud investigators working for the Met Police (but couldn’t give me office number or case number) etc. I’m sure they’re all working the same racket. I kept him dangling for 15 minutes before he finally realised I was not going to fall for it. Well, full marks to Erica, she must have called at least 10 times around lunch time (but I was outside up a ladder). The number she called from – as previously – was withheld. I enquired as to the success rate of Litigation Services(LS) in such cases. She reckoned 93%, and because our case was so good, they wanted to pursue it. If it was unlikely to suceed, they would not be contacting me. I asked her to prove it. Due to client confidentiality, she could not quote examples, so I asked her to refer me to details of such cases that should be available on-line. Her response was that in Spain, cases were only published 5 years afterwards; unfortunately, LS had only been going 4.5 years – how convenient! I then said that if our case was so good, why didn’t they take it, and I would accept the deduction of the Court fees from the award settlement? She quoted the Spanish Legal Fees Act (she said an English version was available on-line at the Spanish Consulate web site) which prohibited lawyers paying client fees – deemed to be coercion. I advised her that I had been looking up LS and that I believed her claims to be fraudulent, which she denied. I left it that if she was truthful and in time evidence came to light that her Company was legitimate, I had her number. I have tried the Spanish Consulate web site and made a search for their Legal Fees Act, but any response is in Spanish, which is not a lot of help to me! It all sounded a very slick operation with answers for everything. However, if payment of fees can only be made by the applicant to the Court, why is their “Finance Department” involved? At least give us some credit! Giving us time to think, and not catching any Company name, we requested such information from the Financial Assistant, at which point they said that Erica would call us back. She did so a few minutes later, but she became exceedingly reticent to divulge a name, assuming we no longer wished to pursue the claim. She has called again this morning, giving the name of Litigation Services to my wife, which has given me the time to interogate this site. Erica said she will be calling again lunch time. An interesting conversation to be had! Caroline Clark (tel: 0034951247133) from Litigation Services just called me and left a voicemail about an apartment that I bought via MRI in 2005. Based on the feedback on this page, I won’t be calling her back. Has anyone here been able to get compensation back from dealings with MRI? Hi regards to your e mail, I am also looking into this company as Caroline Clark from Litigation Services SL Calle Coronel Ripollet 6 Edf Santo Rein 3ºA. Fuengirola. 29640. Málaga. Spain. Has also said our claim for compensation against MRI has been looked at and to take action we need to send 1024 Euro to allow for documents to be translated and for to go to court but money will be returnable when the pay out has been confirmed for loss of earnings for our condo in Florida, Parkway Palms, which we purchased in 2005 and was run by a corrupt Management company. We lost a huge amount of money and the Management had taken out illegal loans on out property and left a trail of debt. Is Litigation services another sc** ?? can any one assist and tell us if they are LEGIT ?? Next time you get a call from Litigations Services S.L or from similar ilk, say that you have a friend who lives close to their location (after you ask them where they are )and whether she/he can come and see them at their offices. Make a specific appointment and say that the friend will come with an entourage as well. See how they react. Litigation Services S.L. offer the very latest in legal justice. In conjunction with local authorities, legal administration systems and the best in Spanish legal practice, Litigation Services S.L. offer the consumer a service that goes above and beyond the legal parameters currently in place in Spain and Europe. With the boundaries of Europe becoming thinner, Litigation Services S.L. offer a cross border service to all members of the European Union. With many years experience in fraud cases and a reputation of success in the field, Litigation Services S.L. offer a specialist service direct to the public regarding property, land and fractional ownership through to stocks, shares and carbon credit investments. All claims are considered on an individual basis and independently reviewed. We do not consider processing claims which may conclude unsuccessfully, nor group claims which invariably result in low payouts. Our lawyers are fully bonded and registered with the Spanish Bar Association and our legal team are available to update you during the various stages of the claims proceedings. Once the offer of compensation has been made, our lawyers will conclude their actions. We offer an assessment of your documents to ascertain whether you have sufficient evidence for a successful claim of compensation. This service is without obligation and at no cost to yourself. Our lawyers would require you to submit copies of contracts/agreements, invoices and/or receipts etc., either by fax or email, accompanied by a brief outline of your experience with the company in question. Should you wish to post copies of your documents, please do not send them by recorded/registered post, as mail is often delivered prior to office opening hours and will be returned undelivered. Receipt of your documents will be confirmed to you either by email or telephone. Once all necessary checks have been conducted and the lawyer’s assessment complete, we will contact you with regards to the outcome. Should you have any queries regarding the above, please do not hesitate to contact me. Just been contacted by Litigation Services today.Stated my claim was listed as a Criminal Case to court in Spain and the judge threw it out as it should have been a Civil Case.LS would work on a No Win No Fee basis bit would take my Court costs from credit card.If successful would take 10%. They knew all my details- claim amount,Key properties number etc.Warned me about other unscrupulous firms ringing me!!! !I declined their offer. I had a call yesterday and today form a Rebecca Lawrence asking about my purchase in Bulgaria in 2007 through MRI. Luckily I came upon this site before proceeding. It is a shame that nothing can be done to help all the people caught out by MRI. I have been contacted by litigation services for a similar claim where they think they can clam on my behalf from funds available for instant access international which has been closed. They are asked no for money upfront and claim they are a registered company. Can I have advice please re this? Do I need to inform the police or anti fraud services re this? I would suggest you don’t waste your time, considering the bad reports about Litigation Services. You will be asked for money at some point down the line, probably after they’ve looked into your case, saying it sounds watertight and that you’ll receive £10,000 in compensation! Anti-fraud in this country won’t do anything, nor will the police. From what it looks like, no one has received any compensation at all! Also, there are no ongoing claims with any courts! Thank you all for your help and good advice. so glad I found your site. Mr E Lewis. Litigation Services will not get the satisfaction of c****** me out of a big chunk of hard earned cash. They seem to have another company in operation called Litigation Mediation Consultants. We were contacted by Legal Prosecutors LTD in 2015 and paid a Court Registration fee of £239 as they claimed to be UK based and would register our case in Spain. Later Legal Prosecutors passed us over to Litigation Services SL in Spain, who then asked us to hand over another £720 for paperwork costs. We refused and lost our money as told if we don’t pay more they cannot finish our claim. Legal Prosecutors then disappeared but have reared their ugly heads again as Litigation Mediation Consultants at the same address. They are al the same cro*** and will keep asking for more money. No one has been successful. We got a call from another company, probably part of this sc**, stating that Courts were now ordering companies to repay monies after a successful case. It seems that that is an order for banks who are responsible for property losses, unbuilt etc, and mortgage over payments. The banks have been repaying people without going through Court or handing over any money. There are plenty of genuine no win no fee lawyers in Spain, these calls asking for money upfront for any reason are scams. My elderly parents have just been contacted by Edward Lewis from this company 0034951247133 Company address given as Calle Coronel Ripollet, Edificio Santos Rein 3a, Malaga 29640. He offered to represent them against three previous companies for an upfront fee of £879 per company – bargain – not. Not aware of anyone been paid out for these services. Just scammed ! I now have had a company calling me saying they can get me out of my contract. They say that the timeshare company will come after me for lost revenue. ( I stopped paying maintenance fee a few years back) The timeshare company sold my resort and I was informed I had a choice of two other resorts to use which I was not happy with. Not sure if this is genuine as they will obviously want money too. Could this be just another sort of scam ? If you feel that you have a genuine complaint on how it was sold to you, you can have a free consultation with a UK solicitor face to face. They would never phone you asking for business, how and why would a firm you never heard of suddenly phone you. Cold calls are scams. Your claim request details have been received. Unfortunately, having gone through the attic contents, it appears that every scrap of documentation relating to the Inside Track and Florida purchase has been disposed of. A few years ago, unknown to me, my wife decided that, because the whole experience of being ripped off to such an extent by the operators of this despicable and deeply immoral operation was so awful, she wanted to remove every last scrap of its memory. At least we can be comforted that Jim Moore is now in a US jail awaiting trial. It is increasingly likely that other people connected with Inside Track in previous or subsidiary capacities will eventually be investigated and face the consequences of their actions. My only concern now is that our individual contact details have been left behind or passed on after Inside Track collapsed, and they may have found their way into the hands of unscrupulous individuals who are still hell-bent on further exploitation of vulnerable victims. How do these people sleep at night? As there is absolutely no chance of seeing our stolen money again, and for continued peace of mind, I suggest no further contact between us and a request that you delete all my contact information that you hold. Human nature is so very interesting, don’t you think? Not a particularly clever reply, but it made me feel better! So pleased to have found this site – thank you to all who bring this kind of thing to public attention. We were contacted a couple of weeks ago by Catriona from SL Litigation Services concerning property we purchased in the UK through Instant Access. It all sounded pretty good so I pulled all the paperwork together and emailed it across. She’s contacted us again today to say that it’s been assessed and we have a definite claim (a huge amount of money)! However it can take 10-12 months to process due to the Spanish legal system. They’ve also requested £860 upfront to cover translation, notary fees & court costs. Very wary about this now after reading these posts. Has anyone had a successful claim or is it that no-one paid the fees in the first place? Cannot believe they are still at it. Complete con.Do not fall for it as they are a big fr***. I too have recently been contacted by Litigation Services ( Caroline Clark ) purporting the same ruse. £1,075 refundable legal fees for Spanish notarisation of the legal documents to compile my case against MRI for properties purchased in Portugal. Again, very convincing but given I have been bitten once I am not ready to stupidly throw more money at the problem. If anyone has come across a legitimate Spanish Legal Practice that could take up my case on a No-win, No-fee basis please post details. I too have been bombarded by calls from Cathy McDonald of Litigation Services over a 12 month period regarding properties in Cyprus through MRI. At first I thought “oh here we go” but gave them the benefit of doubt and went along with it to see if there was any truth to their claims. They reviewed my paperwork and said I had a solid case “as they would” but required £895 up front fees. Basically I told them to do one and things went quiet, I was then contacted by Cathy again to say that they were still holding my case paperwork for the claim. This time I said I would use their services if I could meet them in person at their offices. I was told this would be fine and a meeting was set up. Here comes the stinger, the day before I was flying out I was contacted by Cathy who said that the senior advisor Samantha Lees had been trying to contact me so she passed me over. Samantha Lees told me that she would meet me at the train station as I couldn’t go to their offices due to Data Protection! I asked if she could elaborate and was told they had thousands of clients with lots of sensitive documents lieing around, when I said put it away in a filing cabinet then she got very abrupt and rude. I did do a fair bit of due diligence but as anyone in the same position, any opportunity of getting back a lot of money you have lost even though I had written it off is worth looking into. I took the opportunity to turn this trip into a holiday as well, so here I am with the family enjoying the sunshine with no intention of meeting in a railway station knowing that I think they have been well and truly rumbled! I have been contacted over the last week by Lucy from Litigation Services, she had all the details of my alleged legal claim to compensation for a miss sold time share over 20 years ago. I listened to all she had to say and read the email. She phoned back several times and eventually came up with the costs 10% of the claim would be billed to me by them after settlement but I would have to pay £850.00 up front for the legal costs. I said no but I would pay 25% on completion but no upfront costs. She rang off. About 15 minutes later Victoria, Lucy’s superior telephoned and said they couldn’t agree to that but I could pay the legal costs with a credit card. So not only is their little operation a scam they are also advocating defrauding the credit card companies as well. I have been contacted over the years by a number of scammers regarding miss sold time share compensation. I just feel sorry for those people who are taken in by them. Something that is too good to be true is usually a fraud. I received a cold call from Natasha Goodwin some weeks ago.She outlined reasons for my entitlement to a refund-i.e. Exaggerated rental income promised by MRI staff & overpriced furniture package. I did not respond, having looked on net & seen similar cases with her name mentioned among others. She only asked that I submit all relevant details for free examination of my case,& then if there was a case, some funds would be sought upfront,before proceeding..
She phoned again asking why I did not furnish documents – told her what I had read. She has now sent a few attachments,which appear to legitimise Litigation Services s.l. she also mentions Mindtimeshare as their main detractor. When phoning, no caller ID. Why not write or email initially. who may be able to answer many questions ? I’ve been contacted today by Kathy Mcdonald claiming if I pay £550 then their lawyers can get to work to claim back £11,500 from mri for mis selling rental income. Has anymore seen any money back from them. They claim they ask for 10% of the compensation at the end. Sounds dodgy to me. 10-12 months until any court case can be heard. Any of this sound familiar? I have had the same experience with Litigation Services Adam, only a different name given and have had 2 people badgering me to pay the so called necessary fees. I am told that I have a guaranteed case if I pay almost £1,000 up front. Had this spiel 3 years ago from another company, with so called lawyers that carried out so called assessments that you cannot speak to or deal with directly, who told me I was entitled to more as compensation and tried to get me to pay £1,200 which would be successful within 1 year. Where do, these figures come from? There is nothing on any website or with any Courts records to prove anyone has gotten any compensation or that there is any special fund to pay from. All these companies seem to be working together, or they are the same people with the same opus-mundi, to get more and more money from people and try to state that any bad comments are made up. I think they are hoping that once Art.50 is pressed and we no longer have the same rights, it will not be their responsibility so they can keep the money that has been paid and the refund guarantee will be worthless even with your credit card. I tried to get an independent lawyer who told me I have no case and there is no money. He said that there is no record of compensation only some Court hearings where a group of people lost the case. If anyone can direct me to where the money is or to actual evidence anyone has got money, then I will pay. Hi Phillip, I have had a similar experience and have been hounded for 18 months asking to pay approx £680 for translaiton etc. I asked for a contract stating that my money would be returned if the case was unsuccessful, but received a clause in the contract saying it would returned if the case was not put up to the courts. I am very worried about your comment on artical 50 being executed and us being out of the EU. I would love to know if anyone actually got their money back. All I was told is that the cases were going through and am assured 100% success if I parted with my money and went ahead. Hello Karen, you are right to be worried so I hope that you have not relented and paid the 680 they are wanting. Coming out of the EU is the least of the problem, there is no fund, or frozen assets, to pay any comp from. There has been several companies operating out of that address that have preyed upon victims of MRI and other ruthless con artists. These telemarketers are just extremely clever at making you believe that there is a pot and that the Spanish Government has already made it easy to swiftly claim through the Courts. I have extensively researched and spoken to a lawyer here and in Spain which all confirms that no claims have been successful and no claims are ongoing. If at a point in the future any claim is successful against MRI then there would be a long wait while the Government then get some assets of them. I feel for those who have paid as the money went through klik and pay so the credit card company will not give money back protection at all. I still get an occasional call and also been told that if I do not pay soon I will loose my rights with the lawyers that no one ever gets to speak to. Best advise is listen, keep listening but never hand over money in any form. There is absolutely no need to pay any money upfront. There are numerous solicitors operating on a ‘no win, no fee’ basis. I have recently given my case to a spanish lawyer and I am very impressed with him. Within a day of receiving my documents he emailed me seeking clarification on a number of points. He has received confirmation from the Town Hall that there was no habitation licence for our properties. He has also found evidence of our deposit going into the bank account of the developer. At no stage has he asked for any payment. My parents were recently contacted by James Phillips alledgedly ‘HMRC’. Telling them they had money about £10,000 waiting for them and they were to contact a Michael Fernandez to pay the court fees of £1000. Michael Fernandez was duely contacted, and my parents were told they had 24hrs to pay the money and if they didn’t pay they would be taken to court and the fees they would have to pay would only rise. My parents now afraid they’d be taken to court duely paid the money to ‘a friend’ by bank transfer! On the date the money was supposed to arrive in check form by courier, Michael Fernandez called to day or had been held up due to supposed taxes needing to be paid. He then said it’d be another 2 weeks. Then when my parents didn’t recieve the money on the alledged date, they tried to call Michael Fernandez on his office number 0034 603227884, but no answer, or message bank, just a message then goes to the engadged tone, this was tried at varying times of the day over a couple of days and every time the same thing. I am so angry but do not know if there is anything one can do. If I am able to do nothing, at least let this be another warning for other vaulnerable people. Nothing seems to be changing here….Caroline Clark of Litigation Services SL called me today about a property we bought in 2004 from MRI. Thankfully she seemed to good to be true and Google brought me here plus a number of other blog sites. I’m not a wicked person but I can’t help wishing bad luck falls upon scum like this. Yes I agree with your comments wholeheartedly. I was called by Caroline Clark in June 2016 on numerous occasions, thankfully I had a very good Lawyer friend who did some research. Consequently I did not hand over the £868.53 requested for translation fees, required to receive the funds owing from MRI. This web site is very helpful and hope that nobody falls foul of this scam !!! I am with you SK i don’t know how these people live their lives…knowing what they do for a so called job….they are just the sc** of the earth i live in hope that Karma will get them all sometime through their lives.Those of us who work to try better our quality of life seem to be the ones they pray on. We have been stung once 20 years ago they are very good at their deceitful tactics….they wont get us again that’s for sure, they are still trying to though to this very day….. Advice is anyone who contacts you through no input from you especially from Spain are all scu*** sca*****. So called Natasha Goodwin of so called Litigation Services has been softening me up for a few weeks now with regards to a boiler room scam I fell for some years ago. She tells me I could get compensation through the Spanish Courts if I paid a fee to them up front for translation and admin costs. Sounds like they are moving from making money out of criminal timeshare to making it out of criminal share selling schemes. The telephone number is 0034-951-247-133. Received a letter from Victoria White stating they would accept my money in instalments if I could not afford to pay the £800.00 for court and translation fees ! These people just don’t give up ! Claiming to be able to get me money through the courts in Spain for money I lost Through properties I bought in Bulgaria from MRI. She had all the detail of my properties and addresses. She was looking for all the paperwork to make the claim and has now come back to me to say I have a legimate claim but I need to pay €1116 (£800) up front for translation into Spanish. Luckily I found this site when trying to check them out before I paid the money. Someone has been messaging my Dad about exactly the same as he bought the properties in Bulgaria a few years back! I requested that she put everything in writing and she starting to be unprofessionally rude about the situation – Just shows these arent who they say they are! Been contacted by litigation services ref a property we agreed to buy via MRI in 2010. Need to discuss whole situation with trustworthy company any suggestions from anybody ? Has anyone ever got anything back from Litigation Services – I too have been contacted regarding MRI. They want an upfront amount to cover disbursements (which I would get paid back on top of my award) – all sounds a bit too real. Check out this thread, also had a call today. Natasha Goodwin won’t take no for an answer. Asked her for any testimonials to back up her company claim – wasted my breath. The same person contacted me today. She left a voicemail on my mobile before calling my landline (how does she know both of these?). I was scammed by MRI in 2007 and Caroline seemed to know all about that. I was also then scammed by a company called Vista Capital who charged me 1.4k up front fee for ‘selling’ our apartments – only they suddenly stopped contacting me and their website was pulled. I’m going to report this to the MRI action group I am subscribed to and see if anyone there has heard of them. I just got a call yesterday. Same person claiming I had case against MRI for rental I was promised and never got on my apartment in Bulgaria. Thought it was dodgy as even email she sent looked like a 4 yr old wrote it. Thankfully I found this site . She’s ringing me back next week so will be an interesting conversation . Sadly I also fell foul to Vista Capital and their fractional ownership deal. Offering to sell the apartment for nearly double the current market value in a deal where multiple people buy a “fraction” of the apartment in an idea that is meant to work like time share. IT was a scam and never heard back. Even turned up to their so called addresses to find nothing but empty offices. Received a call from these guys claiming MRI have been found guilty of misselling. Sounds as rubbish as were the previous 7 or 8 ‘Spanish’ law firms who are offering knights in shining armor service this past 10yrs. ‘Debroah’ was the name given. I have just been contacted by Litigation services, claiming they can get a refund for my failed investments, including furniture packs in Bulgaria and Italy through MRI for 10% of money recovered. They want to access my paperwork and then give me a quote to submit translations into the court. She was not able to send me “proof” of said funds held by the Spanish courts nor provide testimonials of UK clients who have received refunds. I asked for UK residents with UK land line numbers to call. Has anyone actually received any money from this pot of gold allegedly held in spain? This Litigation Services company is a s***!!! They look convincing, sound convincing – will ask for money up front for legal fees. Keep doing this with various other fees and finally say they are unsuccessful. cold call contacted by a victoria white at litigation services in spain barcelona , saying they could get me compensation on a small amount of CARBON CREDITS i bought in error a couple of years ago , not interested as my case is with the west yorkshire fraud squad , seems they are branching out from time share scams !! I have been contacted by this company, they asked me to pay £3010 up front as a fee to take my case for compensation against ( Reclaim, holiday opportunities,DWVC) I am deeply suspicious, as they promised the same results as Ramirez & Ramirez, in a word nothing!